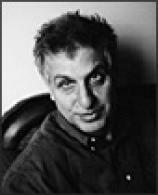 Errol Morris is a world-renowned filmmaker --- the Academy Award-winning director of The Fog of War and the recipient of a MacArthur genius award. His other films include Mr. Death, Fast Cheap & Out of Control, A Brief History of Time and The Thin Blue Line. Academy Award-winning filmmaker and former private detective Errol Morris examines the nature of evidence and proof in the infamous Jeffrey MacDonald murder case. A WILDERNESS OF ERROR shows us that almost everything we have been told about the case is deeply unreliable, and crucial elements of the case against MacDonald simply are not true.